General Abdelamir Yarallah, head of military operations in the region, said federal police and special units had hoisted the Iraqi flag after having "liberated" the eastern sector of Al-Ayadieh town and Qubuq. Fighters from the Lebanese Hezbollah movement on Saturday made further progress against militants on the second day of a military operation near the border with war-torn Syria, Lebanon's official National News Agency reported. 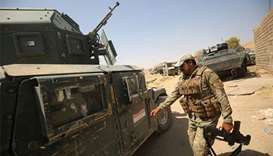 Iraqi forces on Thursday retook the town of Hatra, southwest of Mosul, on the third day of an operation that saw them wrest back a nearby Unesco-listed ancient city, a statement said. 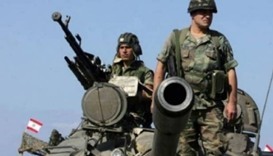 Lebanon's army said it arrested ten suspected members of militant groups on Saturday after they came over the northeastern border from Syria, and a security source said a local Islamic State leader was killed in the same raid. 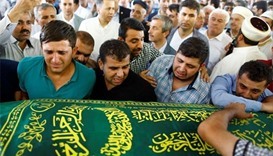 Turkey has "no clue" about who was behind the attack on a Kurdish wedding in a city close to the Syrian border that left 54 people dead, the prime minister said on Monday. 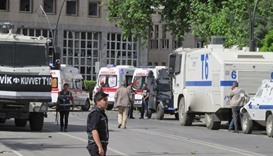 A car bomb hit the Turkish city of Gaziantep killing at least two policemen and wounding 22 other people, with the country on edge after a succession of militant attacks.